Paris Fashion Week – Chanel!! Yay! Finally!! Chanel showed its Spring ‘07 line on Saturday. 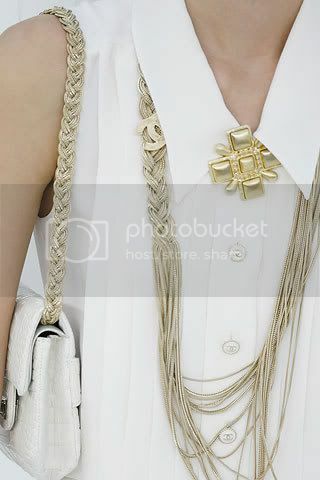 Karl Lagerfeld always manages to give the Chanel line a modern twist while keeping the Chanel chic. This season felt a very “mod” with ultra short dresses and skirts paired with chunky shoes; The traditional black & white palette also lent itself well to the 60s aesthetic. This was by far not my favorite Chanel collection, but there are always gems. Here are my faves . . .